Every year, Southwestern Centre for Research and PhD Studies hosts Conference on Research and Development and similar themes. 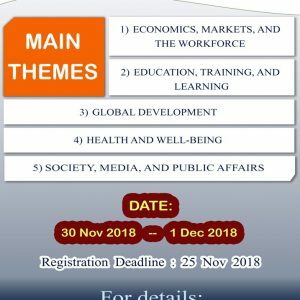 We invite participants belonging to various themes. The purpose of the gathering is to bring together and connect committed, innovative practitioners representing different themes of social change, and to highlight projects that are making a difference in the quality of life of people all over the world through research and development. Theme includes but not limited to education, economics, global development, and public affairs.